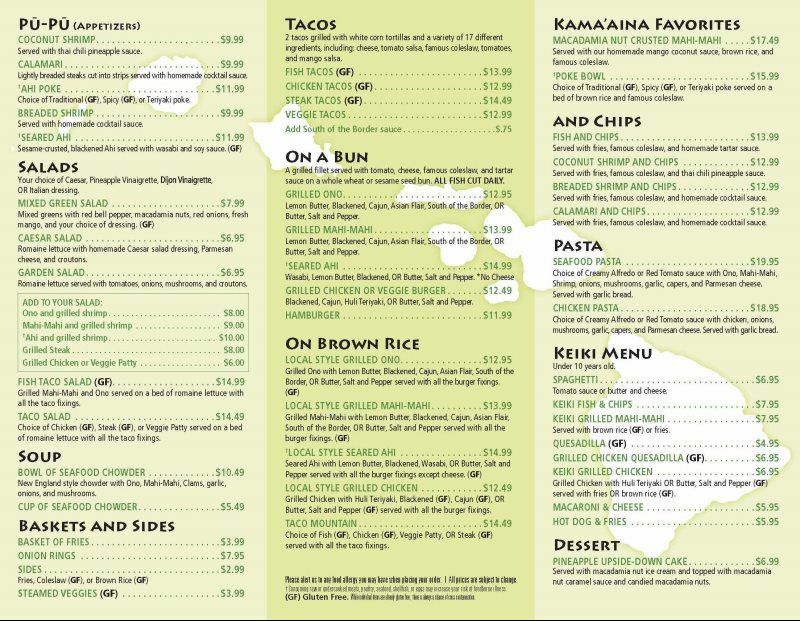 Hawaiian food tends to stay with you even after your vacation is over. I'm going to hear about there are few places in town and yet people will recite the same list over and over. Heck even a famous chain with the same two letters will get recited as well. Here comes the funny part: once you named it on one hand, it all becomes obvious that it's the same easy spam and eggs that get mentioned. Don't kill me, but I know people will quickly point to me about the massive headway that POKE has made in the mainland over the years. But when it's time to name a place that served seafood or moco loco, boy do we get a head scratcher because of specific this question. 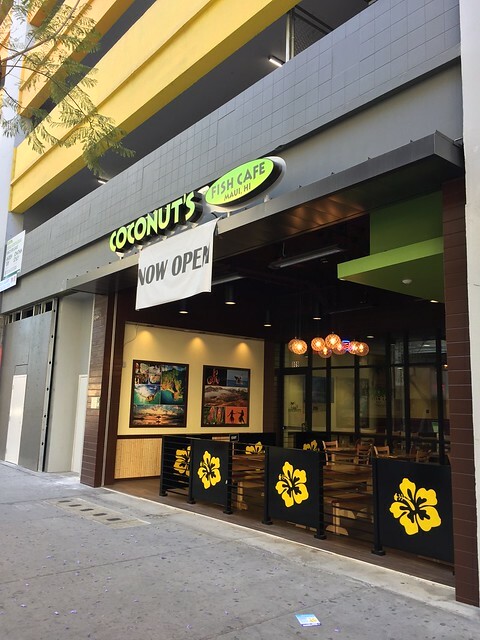 By some luck, an establishment originated in Hawaii is coming over to LA to serve some of the best fish tacos and the ever popular coconut shrimps. 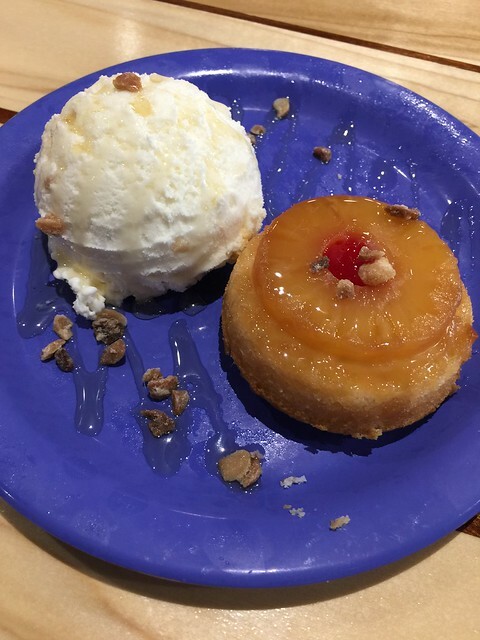 Coconut's Fish Cafe that was started in mid 2000's in Maui quickly gain popularity with its island's signature ingredients of coconut, mango, pineapple, wasabi, and ginger that can be incorporated in part of their dishes. 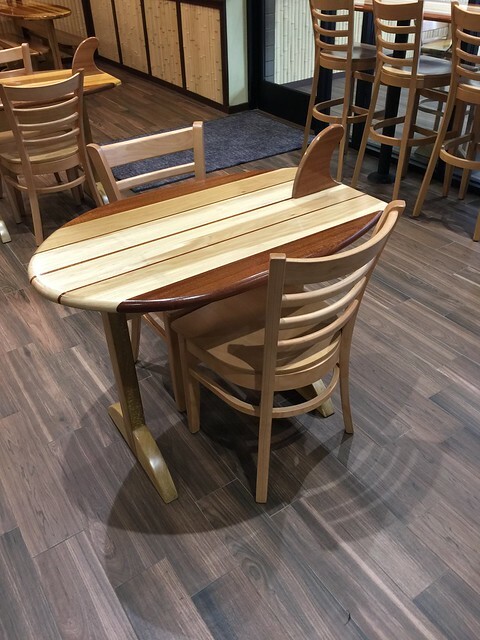 With its local feel and vibe, the cute island decor with surfboard as a table top, this place has all the elements of inviting place. I was instructed not to eat these fish tacos with a fork, even though it was provided to me. The idea was to gobble this thing with your free hands and take it all in. I'll be straightforward honest, it took me about a good 20 minutes to finish one of these ginormous tacos. Yeah, it's hungryman sized tacos. With this fish grilled to perfect and added in some of these tropical flavors like the mango, I can see how or why these fish tacos were a hit. The nicely battered coconut shrimps were a major winner as well. 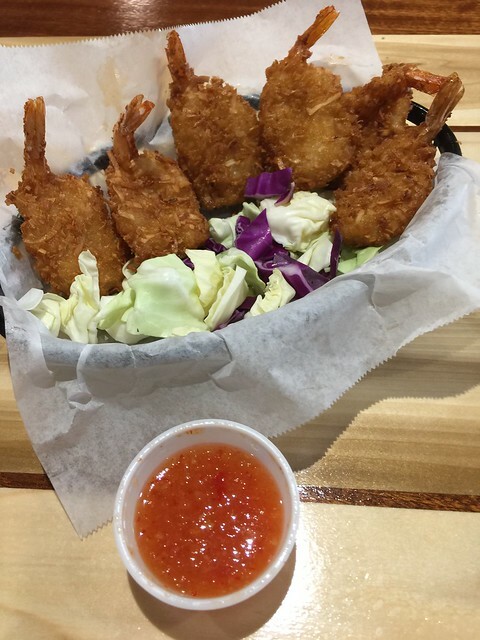 I especially love the tangy sauce that goes with the coconut shrimp, it was fantastic! As in my question, was these well known cafe started by a transplant? Apparently, the founder was a northern California native who retired to the islands. Supposedly, I was given a story of this gent buying out a local restaurant when he found out his favorite Hawaiian restaurant was closing down, so he apparently he was learned from the closed establishment on how those ingredients worked and recreated them in his new restaurant in Maui he just bought. 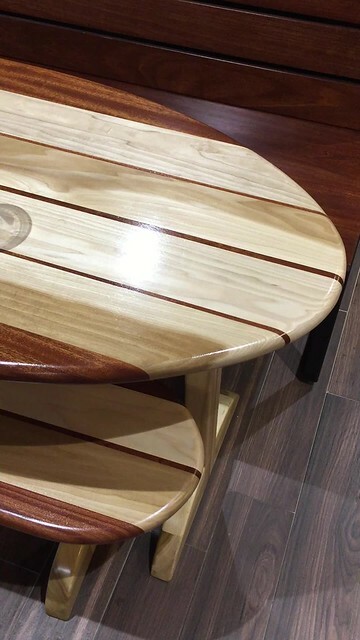 Soon enough, he took it back and opened up new restaurants in Sacramento and Scottsdale, where it was also highly received as the ones in Maui. With hits on his hand, it obviously in no time get to downtown Los Angeles as well. Fish Tacos and coconut shrimps doesn't always required a plane ticket.... it might comes to that if our urges for Hawaiian food stretch long after our return from vacation.